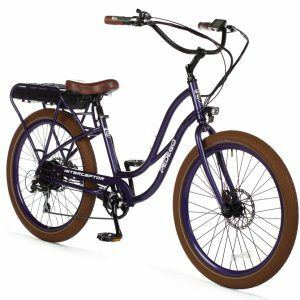 Pedego Carlsbad is like heaven when you’re shopping for an electric bike. The experience is unmatched anywhere on Earth. When you walk into Pedego Carlsbad, you’ll find a welcoming and comfortable atmosphere where you’ll be treated like family. A Pedego electric bike rental is the very best way to experience Carlsbad and beyond! The nearby bike trails are safe and breathtakingly beautiful. Cruise through the sunshine in beautiful Carlsbad on our newest guided electric bike tour! Our Beacon’s Beach tour helps you see first-hand what makes Southern CA special. Join us on a bike ride alongside the historic Highway 101 where the highway hugs the Pacific Ocean. During this experience, you’re sure to feel a connection to the simpler, quieter lifestyles of the past. Throughout this approximate 2 hour bike tour: Your guide will share fun San Diego and California facts while taking you along the breathtaking bike routes of Highway 101. Rest half way at Beacons Beach high above the ocean’s edge where you will greet the waves crashing on the rocky beach below and gaze out at the beauty and power that brings the vast pacific to life. You will have plenty of time to take it all in, capture the memory with pictures and if you’re lucky, some dolphins or whales will stop by to say hello. It’s a great surf spot as well. Definitely our most popular offering and something only the locals know about. Your guide will take you alongside Historic Hwy 101, which hugs the Pacific Ocean and provides a connection to the simpler, quieter lifestyle of the past. Your guide will share fun San Diego and California facts while taking you along the breathtaking bike routes of Highway 101. Travel through the quaint towns of Leucadia and Encinitas where you will pass funky shops, local cafes, coffee houses and even beautiful Eucalyptus trees planted in the 1880’s. Take an enchanting stroll through the Self Realization Gardens; featuring streaming brooks, gentle waterfalls, koi ponds where the fish will greet you with warmth, rolling paths with a variety of indigenous plants and breathtaking cliffs. Whether you’re into meditation or just enjoying all that nature has to offer, we guarantee you will feel nothing but peacefulness when you leave. Carlsbad is the perfect little town for a romantic getaway, with its 7 miles of beautiful beaches, picturesque lagoons, and quaint European charm, you’re in the best place for an idyllic picnic! Just a short drive from San Diego, treat your sweetheart to a Couples Romantic Picnic. Enjoy each other’s company while you soak up the sun, bike ride to the beach, and surround yourself with breathtaking sights. We provide the items needed to kick start your picnic so that you can have the freedom to create your own getaway. Cruise anywhere through Carlsbad that you and your loved one desire. 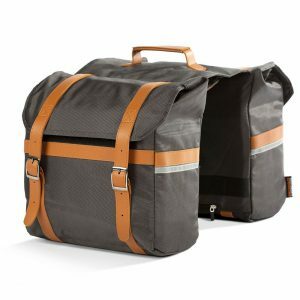 Two comfortable electric bikes with a basket. Beach towels for relaxing by the sea. A keepsake Pedego sports watch so you can fit more fun into your trip. Grab your special someone and take this unique opportunity to take them on a date they’ll never forget! The tour starts with a cruise along the stunning California coastline on the scenic 101. Here the ocean breeze greets you while you take in breathtaking views of the Pacific Ocean. Next you will ride through the lavishly landscaped neighborhoods in North County to arrive at the Batiquitos Lagoon. Ride with ease on your Pedego electric bike as it’s just like a regular bike –only better. You can pedal normally (or not), and get the power when you want it. At Batiquitos Lagoon we park our bikes and stroll along a flat, packed dirt path which parallels one of the few remaining tidal wetlands in Southern California where waterfowl, birds and other animals call home. Bike portion is 12 miles round trip, hike is approx. 1 mile and mostly flat. There are benches and shade along the way. Not up for the hike portion? There are picnic tables at the entrance in the shade where you can relax and wait for the group. Experience North County San Diego with your feet on the ground and your dreams in the sky! This 2.5-hour tour starts with an electric bike ride from the quaint town of Carlsbad through scenic Oceanside to where you will see the Top Gun House, glide along the shores of Oceanside and see the famous Oceanside Pier. From there you will enter the San Luis Rey trail, once a private railway by the military for moving cargo along the river this bike trail offers riders the opportunity to see natural habitat of the region including a variety of birds. Just off the trail is a small airport where a helicopter awaits ready to show you all the beautiful scenery from 500 feet above. During your 15 minutes (or 30 min, whichever you choose) in the sky you will take in the breathtaking views of North County’s coastline and, if you’re lucky, may spot a few dolphins or whales. Once you land with your feet firmly back on the ground, you will enjoy the leisure stroll back to Carlsbad on your electric bike. Join us for a fun and relaxing bike tour through Carlsbad! You will cruise along the ocean and through quaint neighborhoods while your guide shares fun facts and relevant information on California. Our first stop – the house where Top Gun was filmed. From there we’ll head to the Oceanside Pier, the longest wooden constructed recreational pier on the west coast. It is visited by over a million people a year and you will learn the history of this legendary pier. Often times you will see seals or dolphins who are also visiting the pier. From the pier you will cruise along to Oceanside Harbor appointed with a village filled with shops, eateries and a lighthouse. The Harbor itself is a mecca for sport fishing, boating and other water oriented activities. Just a short drive from San Diego, you can explore the best of Carlsbad in an exciting and unique way! All types of bikes welcome! Did you know that Pedego Carlsbad is a full-service bike shop? Our professional (and friendly) bike technicians can handle any repair, on any bike. Keeping your bike in tip-top shape has never been so easy! Pay off your Pedego in easy, fixed monthly payments. Subject to credit approval.